This week I traveled to Guilin and spent a few days in Longsheng, which is in South West China or Guangxi Provence. 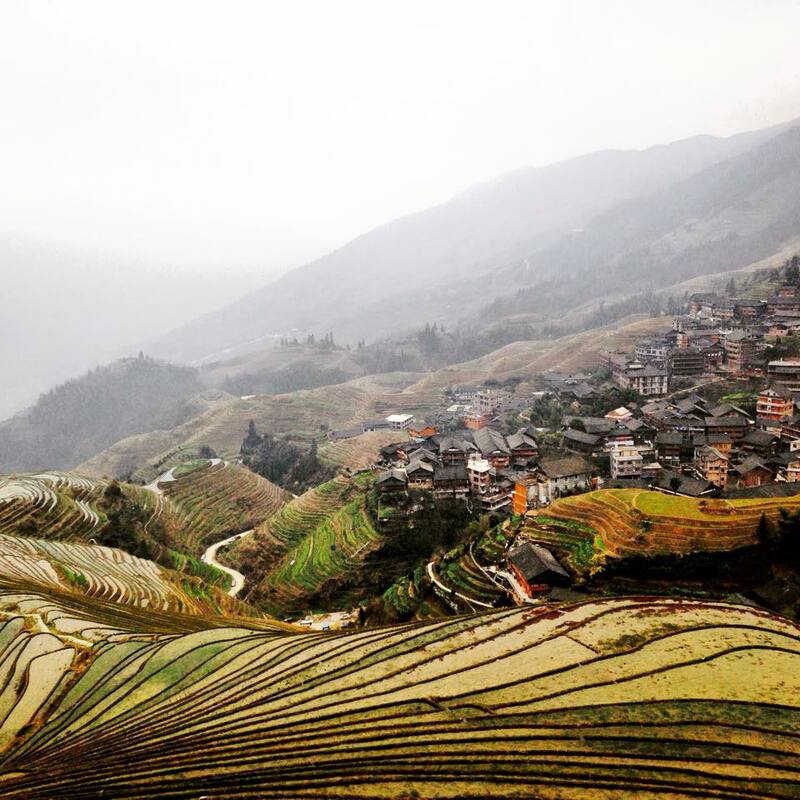 I stayed at a beautiful hotel in the Dragon Backbone Rice Terraces. It was truly one of the most amazing places I’ve been in China so far. We spent our days traveling on the trails around the hotel and eating local food. Since it was almost Chinese New Year we heard constant fireworks. Not to mention, we heard the sound of chickens crowing every five minutes every hour of the day. The scariest part of the trip was when we saw a pig get cut in half, apparently a tradition for Chinese New Year. Lets just say, pork was last on our list to eat for a long time after that.